I have to admit my hair does sometimes take a back seat to my skin care and makeup purchases. I have tried so many hair products that never really impress me and haven’t made a difference to my hair. 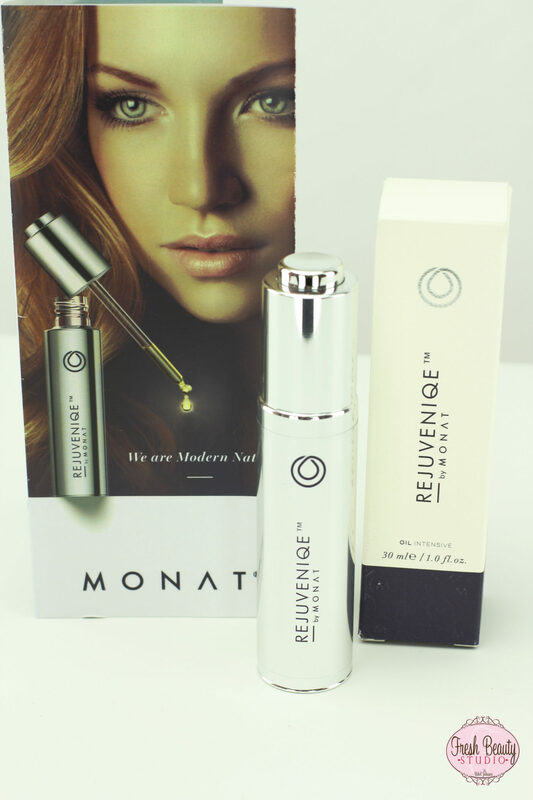 I recently was introduced to Rejuveniqe by Monat an intensive oil treatment for your hair. I seriously thought here we go again, another oil, another heavy product, another disappointment. Rejuveniqe is not just another hair oil using Aragn Oil which in my opinion is last year’s buzz word. Rejuveniqu Oil uses an exclusive key ingredient called Abyssinian Oil along with ten other rare oils. This beauty oil cocktail creates a unique molecular structured product that mimics the body’s own natural oils to help prepare and replenish your hair. Perfect timing for the upcoming cold winter season. I was very skeptical at first and thought this oil was going to be oily and weigh down my hair. I expected that it would be full of synthetics like most of the hair oils that promise the world. The design of the “user friendly” bottle features a push button dropper which deposits just the right amount of oil for each application. Over dispensing is not an issue with this packaging which saves you time and money. I am into products that are more on a treatment level then just another under performing product. The first time I used this product I used it on freshly washed hair while my hair was still damp. I then just put my hair up in a bun and was on my way. I got compliments on how shiny and smooth my hair looked. You know when sporting a gray stripe that is generally dry and frizzy that this was a huge breakthrough for me. As I started to get more friendly with this product I found out that its not just for my hair but can be used as an all over body moisturizer for extreme hydration and for problem areas like cuticles or elbows. I can even mix it in with my facial or body products for a luxe boost of deeply penetrating hydration. This product is in line with my new philosophy of treatment products that double time and are free of sulfates, parabens, harsh salt systems, phthalates, PEG, DEA/MEA and harmful chemicals and fragrances. Besides Rejuveniqe protecting my hair from damage caused by brushing and styling it also controls sebum production that helps to replenish my scalp’s natural oils AND doesn’t contain silicone. My hair looks and feels stronger, healthier and most important full of incredible shine. 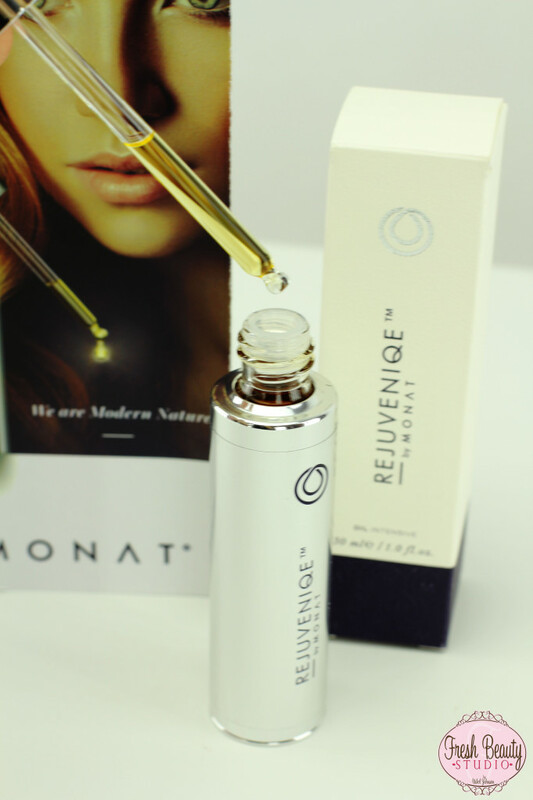 I hope this Rejuveniqe Review will help you decide. Jessica Lari Roman liked this on Facebook.